Top grain elk provides the best fit and feel in high heat welding conditions. 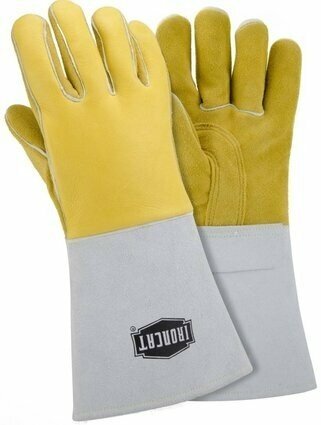 14" length protects hands and arms from sparks and spatter. Additional layer of foam on back of hand provides added heat insulation.